The Tennessee Smokies and The Diner Rats Car Club, Inc. are excited to host the 2019 Great Smoky Mountain Auto Fest presented by Pep Boys. The event is to be held September 27 - 28, 2019 (Friday and Saturday) at Smokies Stadium and will last from 8am - 5pm each day. The event will be held rain or shine. Car registration starts at the "early bird" rate of just $35 and includes space for one car, admission for two (2) people, two (2) Saturday buffet tickets, and one (1) free t-shirt. Pricing goes up to $40 starting September 6, 2019 and includes admission for two (2) people and two (2) Saturday buffet tickets. Car registration does not include a free t-shirt after the "early bird" rate has expired. Registration on the day of the event is $40 and includes admission for two (2) people and two (2) Saturday buffet tickets. Car registration does not include a free t-shirt after the "early bird" rate has expired. To register your car: click the button below, fill out this Order Form, or contact events@smokiesbaseball.com. All awards chosen after the picnic buffet on Saturday, September 28 at 5:00 pm. While the Great Smoky Mountain Auto Fest is an open event and all cars are welcome, this year's featured car is the Tri-Five. All Tri-Five that sign up will be given reserved parking lined up in order of year, exclusive perks, and more! Register your Tri-Five today by filling out this Order Form, visiting https://www.eventbrite.com/e/2019-great-smoky-mountain-auto-fest-car-registration-tickets-53736302728 to sign up online, or contactevents@smokiesbaseball.com. Car Clubs have exclusive access to the discounted rate of $25 per registration for groups of 10 or more registrations. Registered car clubs with 10 or more registrations receive reserved group parking, a chance to win a $1,000 cash prize, meeting space for annual meetings, and access to discount codes to share with clients, family, friends, etc. 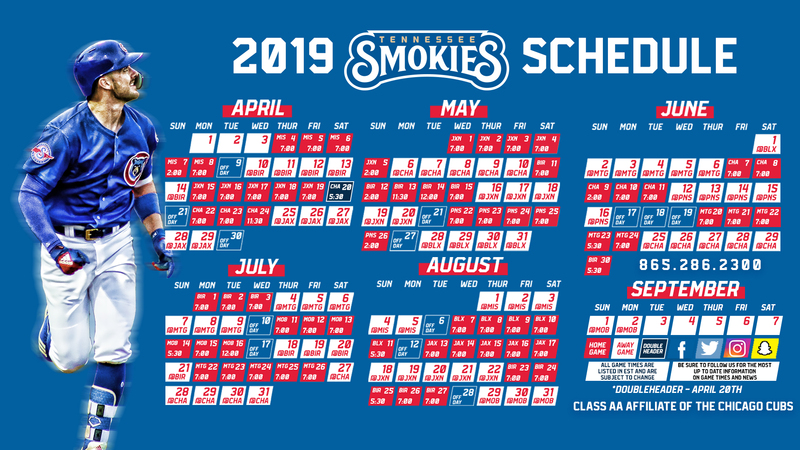 Meeting space must be reserved in advance by contacting events@smokiesbaseball.com. To register your car club or get a discount code click the button below, fill out this Order Form, or contactevents@smokiesbaseball.com. The 2019 Great Smoky Mountain Auto Fest presented by Pep Boys will also include autocross hosted by autocrossguys.com. To sign up for autocross (includes Auto Fest car registration) click on the button below or contact events@smokiesbaseball.com. Also included for all car show attendees is "Share the Ride" presented by BF Goodrich Tires. Car show attendees will have the opportunity to go for a ride in one of two new Mustangs. "Share the Ride" will show how a street tire stacks up against race-prepped cars competing in the autocross event. First 50 FREE VENDOR spaces SOLD OUT! Vendor spaces are now just $100/each for covered or uncovered areas. To become a vendor, click the button below, fill out this Order Form, or contact events@smokiesbaseball.com. This year only, the first 50 swap meet to register receive FREE REGISTRATION! After the first 50, swap meet spaces are just $50/each for covered or uncovered areas. To redeem your FREE SWAP MEET space call 865-286-2317. To purchase a swap meet space, click the button below, fill out this Order Form, or contact events@smokiesbaseball.com. Swap meet allowed to sell used products only. To become a sponsor for the 2019 Great Smoky Mountain Auto Fest, click below and tell us more about why. General admission spectator tickets are just $8/person. All spectators are automatically entered the chance to win a portion of a $1,000 cash prize pool! Spectator tickets go on sale starting February 12. Click below to order your tickets in advance. Live Band "REMIX" - On Saturday, September 28 come check out REMIX perform live at the Great Smoky Mountain Auto Fest. REMIX is an oldies band specializing in 60's, 70's, and 80's covers. Read more about REMIX by clicking here. RV Show - Come check out the RV Show! A&L RV Sales is local owned and operated and is your exclusive Tennessee Dealer for the Warranty Forever Lifetime Warranty. Great Customer Service, Great Selection and Great Value makes A&L RV Sales truly "The RV'ers Friend"! Destination Cruise to The Diner - On Friday, September 27 from 5 - 9pm there will be a destination cruise to The Diner which is located at 550 Winfield Dunn Pkwy, Sevierville, TN 37876. Picnic Buffet/Awards Ceremony - On Saturday, September 28 starting at 5pm there will be a picnic buffet featuring ballpark-style fare. Immediately following the picnic will be an awards ceremony. 50/50 Raffle - Throughout the event, 50/50 raffle tickets will be available for purchase. Door Prizes - Various door prizes will be given away throughout the event. Diamond 5 Awards - Event organizers will vote on the top 5 cars, each winner will receive a "Diamond 5" trophy. 24 Hr. Security - Starting Thursday night at 7:00 PM through Saturday night at 7:00 PM the 2019 Great Smoky Mountatin Auto Fest will have 24 hour security. T-Shirts & Picnic Buffet Tickets - Additional t-shirts and picnic buffet tickets are available in advance online here. They can also be purchased on the day of the event. Additional picnic buffet tickets are $12/each. T-Shirts are only $15 in advance, $20 on the day of the event. Concessions / Beer - Concessions and beer will be for sale at this event.